Today is International Goof-off Day. A day of relaxation and a time to be oneself; a day for some good-humored fun and some good-natured silliness. Everyone needs one special day each year to goof off. Why not today?! Here's what's happening around the Colorado beerosphere today Thursday, March 22nd, 2012. Kettles Homebrew Supply (Fruita) - Attention Western Slopers - Kettles will be offering a free class on Introduction to Homebrewing this Sunday, March 25th at 2:00pm. Learn about the basic equipment, ingredients, and techniques to get started making beer at home. Class length will be approximately 1 hour. Located at 233 E. Aspen Avenue in Fruita, CO.
Copper Kettle Brewing (Denver) - Stop by the Copper Kettle this Saturday. They will have an ESB (Extra Special Bitters) firkin on their traditional hand pump. Thomas from Harvest Food Truck will also be on hand with food pairings. Yak & Yeti (Arvada) - There's a new beer on tap at the Yak & Yeti. It's slightly different from the last La Bhutan Citra as they changed the hops to Styrian Goldings (one of the classic Belgian hops). The beer is less fruity and has more “Belgiany” esters. This batch was large enough that they decided to sell growlers. (Usually the Haunted Beer Series and Belgian Tap beers are not available in growlers.) La Bhutan is on tap now! A Belgian Blonde that tops out at 7.6% ABV (which is on the high side for a blonde according to the BJCP), in addition to malted barley this recipe also includes other fermentables like malted wheat and cane sugar. If you like Avery Brewing’s Salvation but want something more sessionable, try this out. 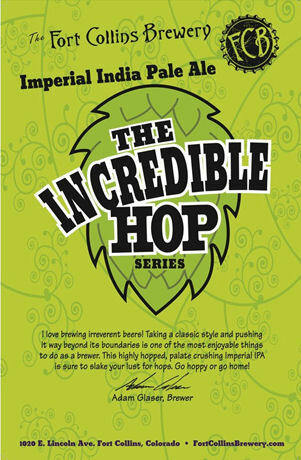 The Fort Collins Brewery (Ft. Collins) - There will be a new release of FCB's Incredible Hop series - Imperial India Pale Ale at an upcoming "Know Your Brewer" session on Friday, March 30th at 4pm. Then on Thursday, April 5th at The Forge Publick House in Fort Collins from 6-8pm there will be Incredible Hop beer specials and FCB brewer Adam Glasser will be on hand to talk about this brew. In other brew news, FCB's Woody, an oak-aged American Strong Ale will be back by popular demand as their April Tap Club Brew. Available only at FCB on tap in pints and in growlers. You can also get Barrel Aged Maibock and Barrel Aged Black IPA in the FCB tasting room. Look for 1900 aged in Dancing Pines Whiskey Barrels coming out at the end of April. Bristol Brewing Company (Colorado Springs) - At long last, The Ivywild School closing is now official as of Wednesday, March 21st and Bristol Brewing can now proceed with the development of that property and transform it into their new brewing facility. Bristol will gain much-needed brewing capacity and new office space in Ivywild and have an expanded tasting room complete with food offerings. 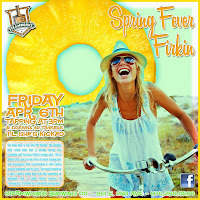 Steamworks Brewing (Durango) - Spring Fever Firkin! 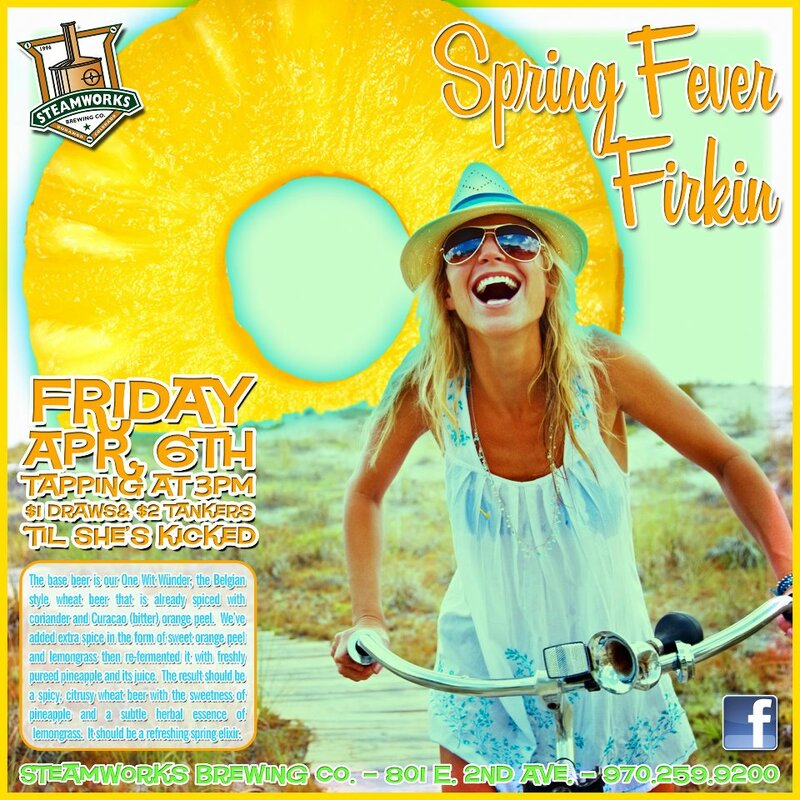 April’s firkin is set to be tapped on Friday the 6th and it goes like this: The base beer is their One Wit Wunder, the Belgian style wheat beer that is already spiced with coriander and Curacao (bitter)orange peel. They’ve added extra spice in the form of sweet orange peel and lemongrass then re-fermented it with freshly pureed pineapple and its juice. The result should be a spicy, citrusy wheat beer with the sweetness of pineapple and a subtle herbal essence of lemongrass. It should be a refreshing spring elixir. Wynkoop Brewing Company (Denver) - Wynkoop has been selected by the NCAA to be one of four Denver establishments that will serve as home-away-from-home bases for the teams (and their fans) that win regional brackets in the 2012 NCAA women’s basketball tournament. They will start serving Malt Madness Ale, March 26, in honor of the Final Four here in Denver. Pateros Creek Brewing (Ft. Collins) - There's another new brew being tapped today, #5 in their Outlaw Contest - this time they took Car 21 (ESB) and soaked the beer with a cedar cigar box and dry hopped it with Chinook hops and called it Cuban Miss-Ale Crisis. It taps at noon today. Rackhouse Pub (Denver) - The entire month of April will be designated IPApril at the Rackhouse and will feature Double IPAs on tap from ten different Colorado breweries. Hop lovers should enjoy this line-up including: Avery Maharaja, Boulder Beer Mojo Risin, Breckenridge 471, Dry Dock Double IPA, Great Divide Hercules, Odell Myrcenary, Oskar Blues Gubna, Renegade Elevation Tripple IPA and Ska Decedent IPA. Located at: 208 S. Kalamath Street in Denver. AC Golden (Golden) - The new Hidden Barrel Project sour series beer should start arriving at select Colorado locations around the end of March. These 750ml bottles will sell around $22 each. 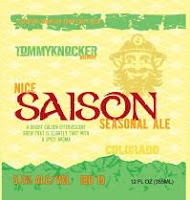 Tommyknocker Brewery (Idaho Springs) - This mighty mountain brewery is planning to release their new "Nice Saison Season Ale" in the very near future in 12oz bottles, but you can try some of this new beer at the brewery and test it out for yourself. Equinox Brewing (Fort Collins) - Two more weeks of Mushroom March! Today they will be tapping a firkin of Sunrise Golden Ale conditioned with Cinnamon Cap mushrooms from Hazel Dell. American Craft Beer Radio (102.3 FM Denver) - coming up this Saturday at noon on ACBR they will sit down and sample great beers with Jeff Griffith from Golden City Brewery, and talk with James Poston from Celebrity Lanes, that new state of the art bowling facility in Centennial with 40 tap handles! Co-Hosting with Gary V this week will be none other than Steve "Stevo" Headstream from The Brew Hut, in Aurora. He might even talk a bit about homebrewing. So tune in this Saturday at noon on 102.3FM ESPN. Del Norte Brewing (Denver) - they will be tapping their black lager tomorrow and is their second such batch of this brew. Stop by Manana (tomorrow) anytime after 3pm for some awesome lagers. Silverton Brewery (Silverton) - Want to know how to get a $1 off your next pint at Silverton Brewery? Simple - go "Like" them on Facebook and print off the page showing that you "like" them and bring it in and show them. Located at: 1333 Greene Street in Silverton, CO. Pick up some 12oz 6-pack cans and bottles to go while you're there. Best Brewery You Never Heard Of - Colorado - I have a mission for you! Fermentedly Challenged has been recruited by the 2012 Beer Drinker of the Year J. Wilson to come up with a story about "The Best Brewery You Never Heard Of" in an upcoming series of nationally contributed articles to be featured on Brewvana.net in April. What I need from you is a nomination about a CO brewery in your neck of the woods that you feel is outstanding yet perhaps is not well known to the rest of the nation. Please add your nomination on our Facebook page. Winner will get a write-up by Fermentedly Challenged. Please click on the Facebook question link first and then also on the More link below on the next screen to see all of the current nominations. Deadline for nominations is March 30th by 11:59pm Mountain time. Also please add a comment as to why you feel this brewery is worthy of your nomination. Rockslide Brewery (Grand Junction) - If you like their beer (or any liquor for that matter) you should think about signing up for MUG CLUB! $50 for the year gets you: mug club t-shirt, mug and plaque, happy hour drinks all the time, coupons $2 drinks and 1/2 priced dinner on Wednesday Night. If this sounds like a good deal talk to any of the bartenders or management at The Rockslide and they'll get you signed up!